If your garden is looking a little overgrown or if you’re a professional looking for a reliable new strimmer, then the SGS 26cc Petrol Strimmer is a perfect choice. Thanks to the gutsy 26cc engine you can easily tackle those tricky tidying jobs in next to no time, rather than having to laboriously do them by hand. Along with the powerful and durable engine, at only 5.8kg, the lightweight design makes the 26cc Petrol Strimmer easier to hold and use. Equally, it comes with an Bosch spark plug which provides you with dependable ignition every time you use it. The high strimmer speed available on this model makes trimming grass and weeds a breeze on any lawn. 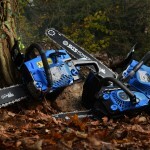 It is also tough enough to handle heavier jobs such as cutting back thicker brushes and roots, which again will have your garden looking fresh and tidy, quickly and easily. 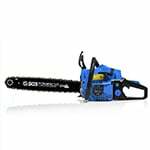 When you purchase your 26cc Petrol Strimmer from SGS, you are buying something that is built to last. 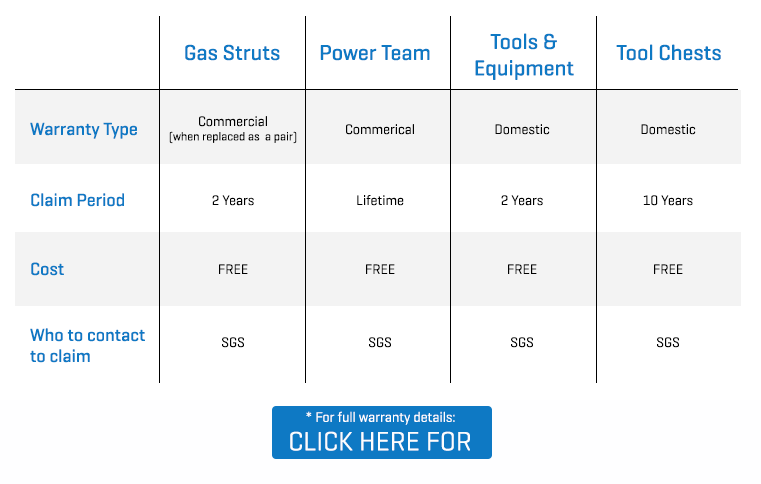 We like to take this a step further though, which is why we also have spares available, including the following important items: spark plugs, cutting heads, oil, and strimmer wire (available for purchase separately). This means you really can get the most from your strimmer as you achieve a longer lifespan for your money. Order yours today! Delivery as advertised and within time slot. To early to comment on strimmer but appears to be a decent product. Been looking to buy a petrol streamer for a while as I need one in the allotment. Came across this one and after a bit of research ordered it, haven’t used it yet, but what a great service! Ordered it and it arrived as promised, looking forward to using it. First purchase from SGS based on description and price. Ordering was very straightforward delivery was free next working day. Strimmer arrived exactly to time and date and the product was well packaged. The strimmer itself was of excellent quality, good instructions for assembly and use. It came with many accessories and a tool kit. Excellent value for money. 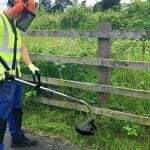 Strimmer works very well and is easy to operate. I thoroughly recommend this company and its product. Easy to assemble & started first pull. More than adequate for the size of my garden. 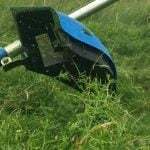 I purchased this strimmer nearly 2 years ago, I have an allotment and has never let me down it will start every time, the only problem is the spool and I have just ordered a new one. if they do something with the spool it would be the best on the market. It has a powerful engine and starts easy. But the let down on this strimmer is its spool, it is made of low quality parts and fulls apart in no time. I changed the spool for one off my old strimmer and that made it a lot better. Very powerful and light weight. I can use this without the harness strap. Easy to start, although I have to tip the strimmer towards the floor slightly to get a clean one or two pull start. I much prefer the 26cc engine than the 50cc + as throttle control is more responsive and again the weight saving. Cut a lot of overgrown grass at an allotment with ease. Definitely recommend, takes 5 mins to assemble and easy to clean and self service when necessary. A great product at a superb price offer. Strimmer arrived within 2 days of ordering which was a superb service from mainland uk to Northern Ireland. Easily assembled and started first time. A robust piece of kit which saves me trailing electric wires around the garden. Took a minute or two to work out how to refill the cord but once mastered it was easy enough. last week. (Rusty spring on HT lead). this has been fully justified now that the minor glitch has been rectified. It now works like a dream. great weed whacker, and light too. effortless sweeping left to right to tackle my lawn.